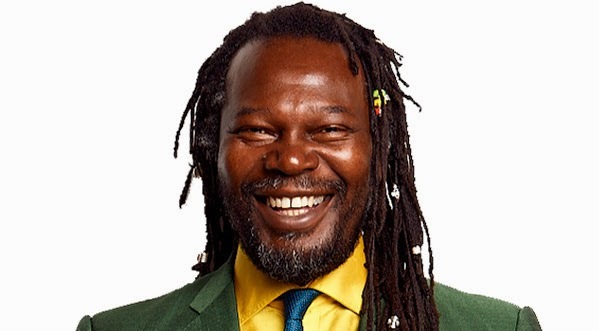 The Levi Roots "School of Life Tour" arrives at the Winston Churchill School on the 13th October with a promise of culinary creativity, entrepreneurship and musicality. Students will be given the opportunity to be inspired by Mr Roots enthusiasm for food, music and business.​ Business talks, Musical performances and cookery demonstration are all on the menu for the day. There will be opportunities for you to ask questions and get clarification about Year 7 and Key Stage 3, as well as seek further guidance on how you can best support your child in their learning in this most important year. You will also receive your Parent/Career FROG logins and have the opportunity to check the contact details we hold for you are correct. Please be aware that this is an evening for parents and carers, not for the students themselves, however we would advise you to bring your child’s school planner with you to the evening. We hope that you will be able to join us and look forward to seeing you. Please kindly complete and return the reply slip below by Wednesday 17th September. Finally, we would like to take this opportunity to highlight the two Inset days Winston Churchill has in the calendar this half term: Friday 26th September and Wednesday 8th October. I*/we* will*/will not* be attending the Year 7 information evening. because new students are being registered and the canteen have to input details manually for a short time. The balance shown will match the catering system. Details of catering purchases and top-ups from this week onwards will be available to view through your Tucasi account. 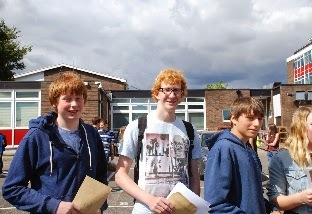 We continue to celebrate the results of the GCSE examinations, the second highest outcome in the last 10 years. 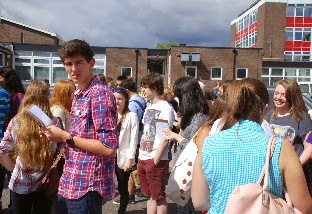 Students and parents should be very proud of all that has been achieved. 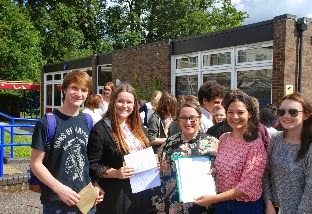 Although there has been some concern that the English Language papers have been marked incorrectly by the examination board, AQA, and a number of up-grades have been received, improving our overall figure of 5A*-C including English & Maths to 68%. The school is pursuing the board to ensure that our students are credited with an accurate grade. 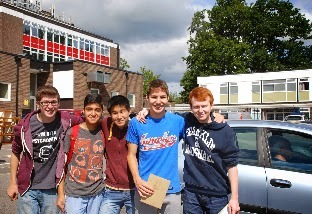 With 26% of all grades achieved being A*/A, work continues to challenge students to achieve their personal best. As you are probably aware schools are now judged on the outcomes from the first sitting of an examination, our results below compare the first entry against best entry. Winston’s entry policy is fully in line with government expectations. 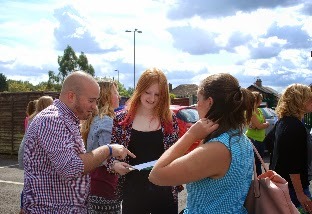 Students and parents are celebrating a very positive set of GCSE results, where the school has managed to minimise the impact of recent government changes on examination outcomes. 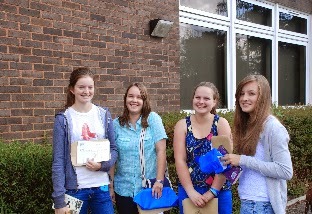 The headline figure of 68% 5A*-C incl English & Maths, ensures that the school has met its target for this year. Particularly pleasing is that 73% of students achieved at least a C grade or better in both Maths and English. The percentage of students achieving the EBacc is 47.2%, this represents students achieving C grade or above in an academic range of subjects. Pass rates in subjects such as Maths, Geography and German have significantly increased and reflect the hard work of both staff and students, to ensure that we achieve the best outcomes possible. Collectively, through a range of strategies, our students have been very successful and thanks should also go to Our Head Boy and Head Girl, Harry and Lily, for their contribution to leading the Year Group by example. 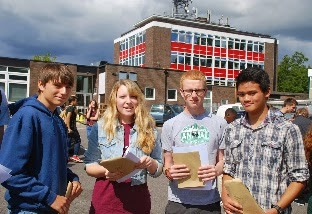 These are very good results, which have been achieved by young people in a local authority comprehensive school. Although examination achievement is regarded at Winston as very important aspect of the education we provide, it is complemented by the range of life skills and experiences that help our students develop from being children into young adults of whom we are rightly proud. Our examination entry policy is simple; if we have taught you then we will enter you for the examination, we are not selective. Winston has achieved a consistently high standard of examination results for several years now, but we are not complacent and will continue to work together to support individuals and groups and to drive up standards. Well done to all our students, staff and parents! An information evening will be held on Thursday11th September. 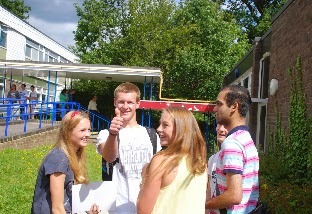 Year 9's meeting is at 5.30pm-6.30pm and year 11's meeting is at 7pm-8pm. Letters have been sent home with the students. Please log onto Frog where a copy of the letters can be found in the letters sections for the relevant year group. The issues with the cashless catering system (referred to below) have now all been resolved and the system is now fully operational. Parents should be aware that the school has experienced problems with the electronic links between the on-line payment system and the school catering system in the past 24 hours. This happened as far as we can determine between 15:15 and 19:50 and then after 21:00, until around 08:00 this morning. In addition there have been problems with the revaluation machines on site and we are in the process of addressing this. This means that some payments to student accounts have yet not updated on the system in school. These are systems outside of the direct control of the school, but we are currently working with the appropriate providers to rectify these issues. These problems did affect the pace of the lunchtime service for Year 7 today as we confirmed the situation for each individual student, however as these problems are rectified the service level will improve significantly. Additional time was allowed for students to finish their meal. In the meantime any student affected will still be able to receive their lunch and any adjustments made at a later date to the individual account. It appears any payments now being made are working correctly.